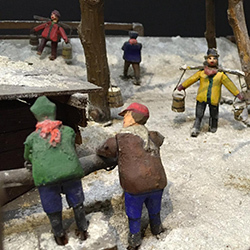 The exhibit Grandpa Makes a Scene: The Yenawine Dioramas has been on display at the Floyd County Library since November 2015. 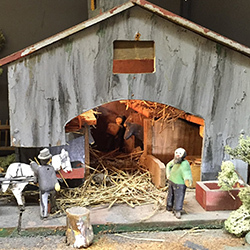 Prior to that, the dioramas were enjoyed by visitors to the Carnegie Center for Art and History (a department of the Library) for 43 years. 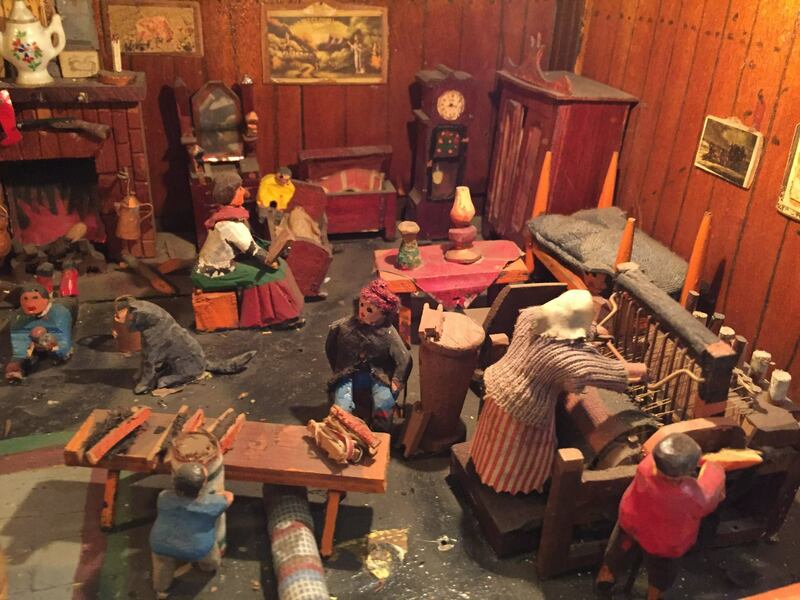 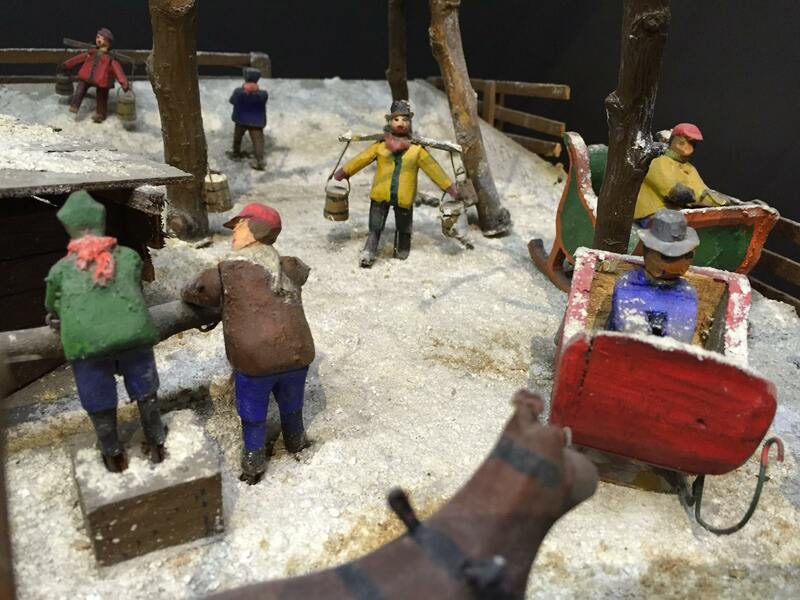 The Yenawine Dioramas are located by the Library’s Indiana History Room, with the exception of the Town Carnival scene, which is located in our Children’s Department. 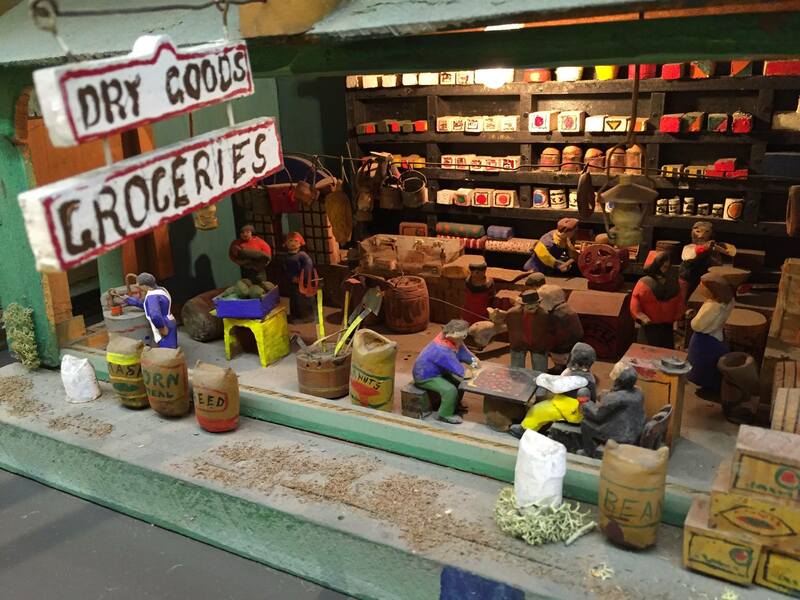 Merle Yenawine (1887-1968) was born in Georgetown, Indiana and lived there until he was 20 years old. 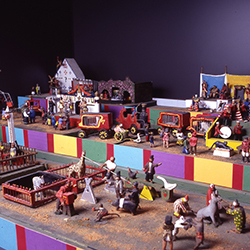 He eventually became a fireman and engineer for the Southern Railway, and retired from the company in 1953 after more than 40 years of service. 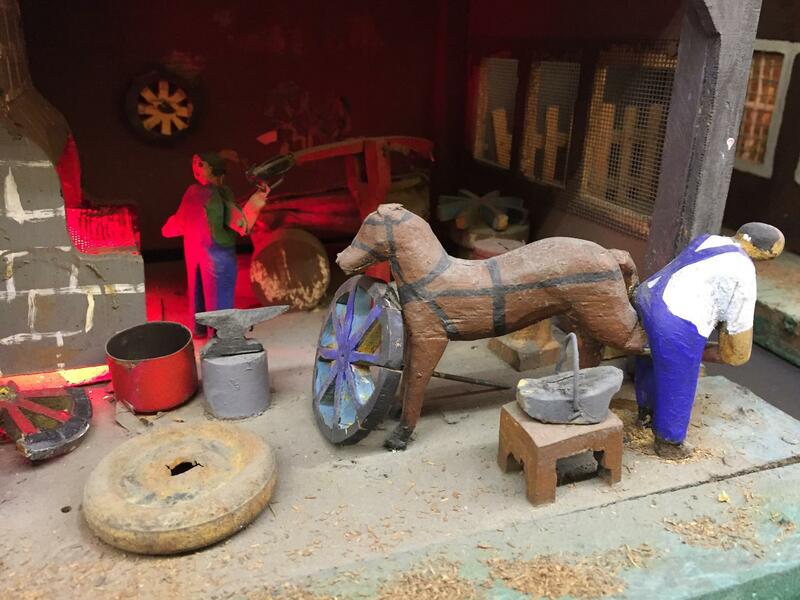 Mr. Yenawine did not have formal art training, but very early in life he found he liked to whittle. 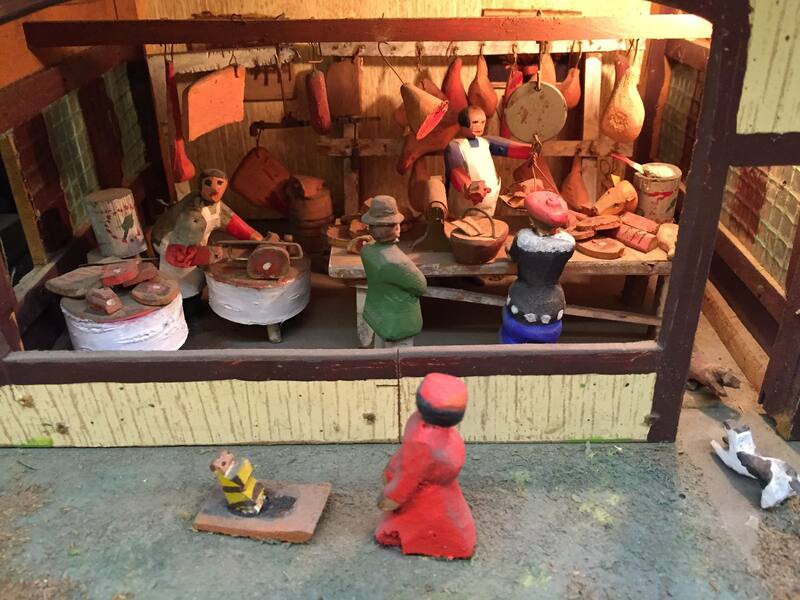 His talent grew with practice and soon he was an expert at carving figures. 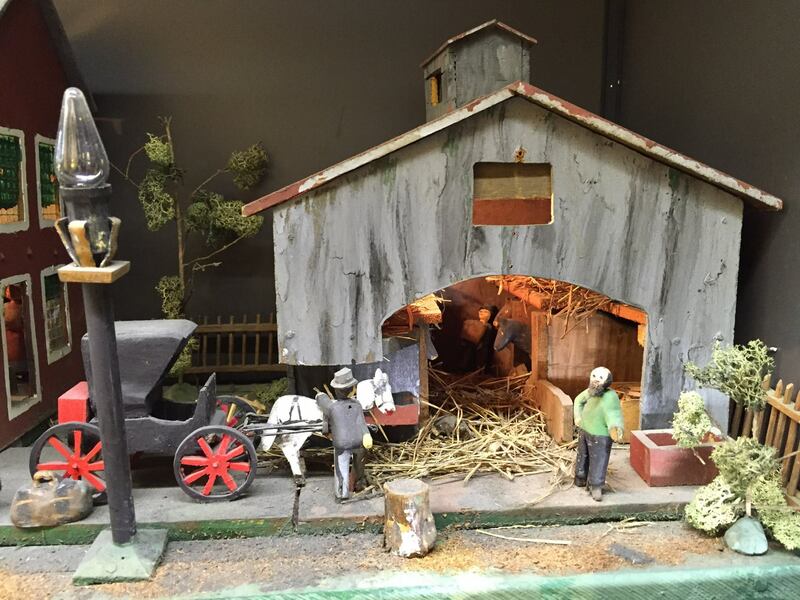 His dioramas reflect his memories, adventures, and a large part of Indiana’s cultural heritage in the late 19th and early 20th centuries. 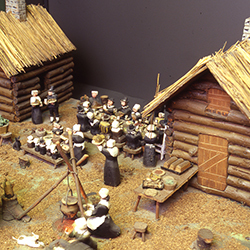 As can be expected, the scenes depicted largely reflect a much different time than today. 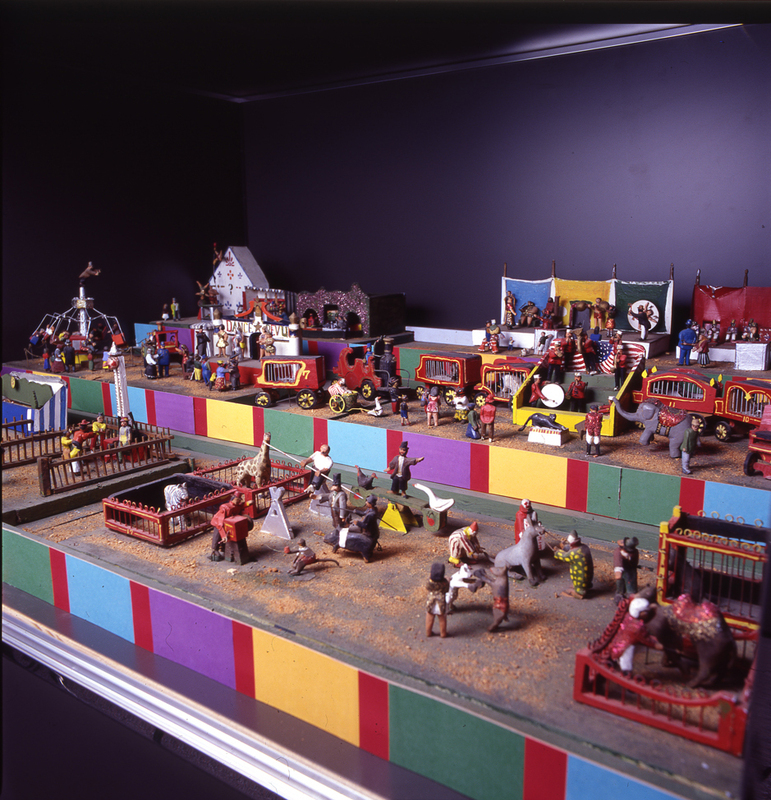 While the minstrel scene depicted in the “Town Carnival” diorama is not considered politically or morally correct today, the minstrel show was a large part of American entertainment in the 19th century, and shaped Mr. Yenawine’s life enough to be included in his “carved memories”. 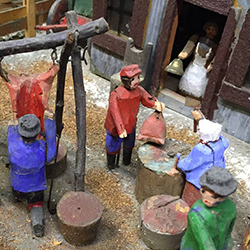 At the Floyd County Library, we are committed to presenting historically-accurate snapshots of our cultural heritage through exhibits and other materials. 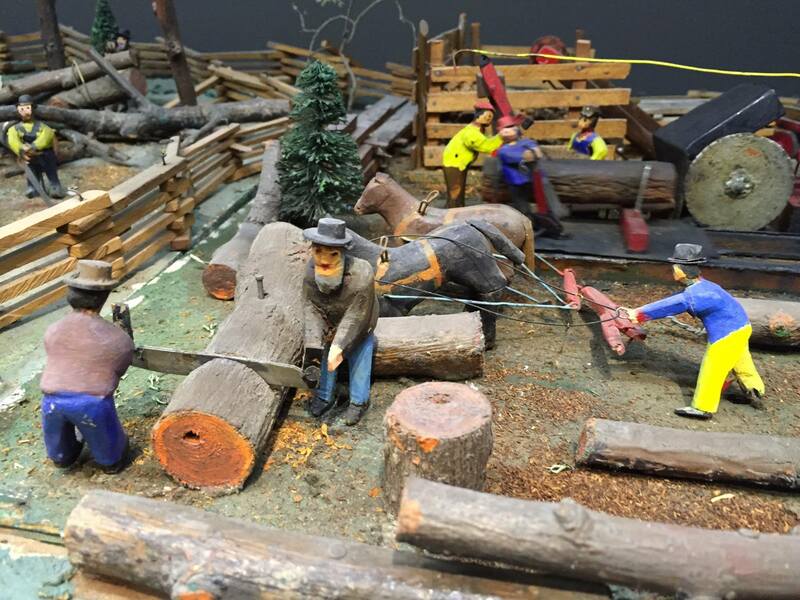 The exhibit has hundreds of moving objects and shows more than 50 community, work, home, and farm activities. 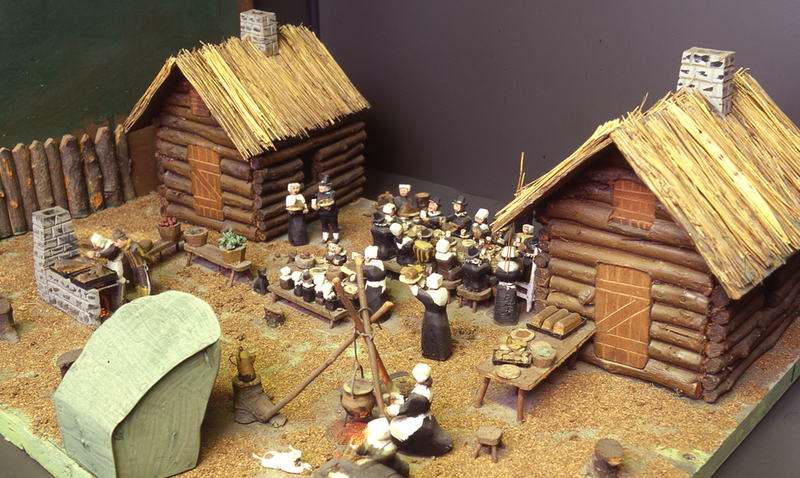 Buildings are made of plywood and figures are carved from poplar and pine. 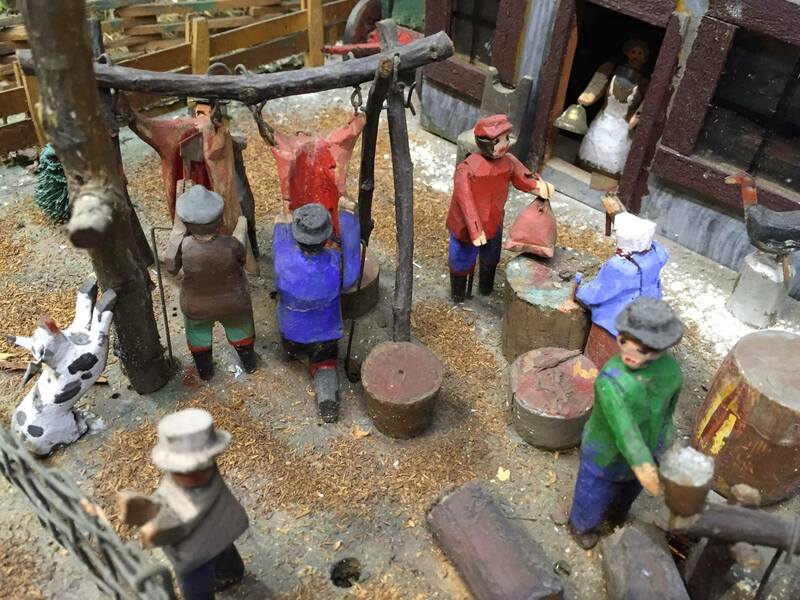 Human figures are about two inches tall. 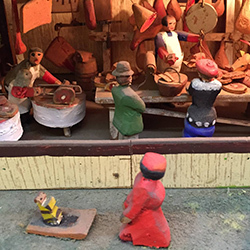 Each one took Mr. Yenawine about 15 minutes to carve. 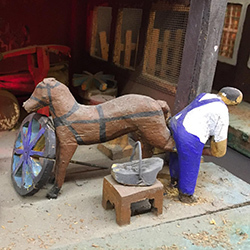 Many of the human and animal figures are articulated and animated. 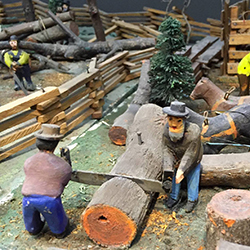 If you would like to learn more about the Yenawine Dioramas, we encourage you to pick up a gallery guide for the exhibit (available in the Indiana History Room and the Children’s Department). 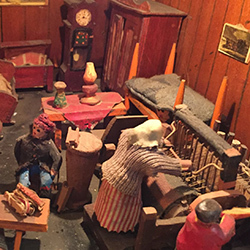 We also invite you to talk with our staff in the Indiana History Room or Children’s Department if you have any questions about the exhibit. 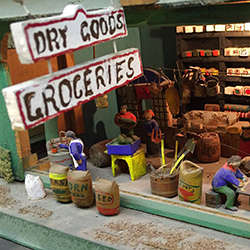 Please enjoy selected scenes from the dioramas below; click on each detail image to see the full view.